Modelling of economic and technological developments as well as emissions is key part for policy and strategy development at the EU level and in a number of Member States. 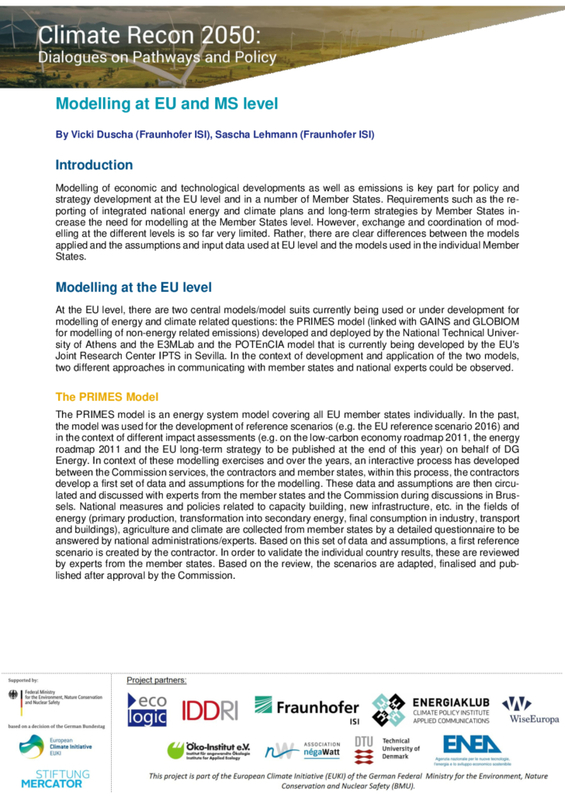 This technical note explains the differences between the two models (PRIMES and POTEnCIA) used at EU level as well as the differences between EU scenarios and Member State scenarios. Furthermore, a tentative approach of the Association negaWatt from France is described in which an attempt is made to bring a net zero MS scenario at EU level. This paper is part of EUKI project Climate Recon.